As a small comeback, I'm going to share some of my favorite Amazon Prime buys that are cheap but still enjoyable to use. This post does contain affiliate links that help fund this blog and everything I do here - including purchase review items and host giveaways, if you happen to make a purchase with them. All the items listed are one's I've tried myself, and while they may not be my favorite, they're cheap and effective so worth the price. There are two sets of these masks, each contain 16 masks for $8-$9. It's a steal for comfortable masks that are excellent for hydrating your skin after a long day. I don't know about you, but I can always appreciate a bit of physical exfoliation. I know, it's not the best for your skin if done in excess... but this is a more gentle scrub that just gives my skin such a soft feeling that I can't pass it up. This rich and gooey apple-scented cream not only comes in a cute apple-shaped jar but also leaves your skin plump, bouncy and glowing. This was one of the first Asian beauty products I ever tried, and it's still one I love. This little pink tube of snail gel is very popular on the AsianBeauty subreddit, and I finally broke down and tried it for myself. It's a nice gel that does a good job helping heal acne and keeping my skin hydrated. You can't really argue with 2 tubes for under $10 either. A packet of 24 hydrocolloid bandages that come in an assortment of three different sizes. I slap one on a pimple before bed and it's nearly flat by morning. Previously known as the Lemon D-Toc Peeling Gel, this is another classic that is hard for me to live without. Peeling gels works by bonding with your skins' natural oils and forming gooey exfoliating bits, leaving your skin smooth and clear. This gel has been great for helping keep my face clear as well, I use it almost every morning. Unbleached cotton with great ingredients - these are amazing masks with a more natural touch. I love keeping these on hand. They're not as cheap as Dermal but they work a little better and offer a bit more than just hydration. This will sound gross if you're not familiar with them, but this is a foot mask that you wear for 1.5-2 hours, then a week later your skin will literally start peeling away from your feet. Not deep, there's no pain involved, but they really eliminate any dry patches on your feet. These are perfect for prepping your feet for summer or any special event where you'll be showing off your feet, just make sure to use it about a month before-hand to make sure your feet are finished peeling in time. 9. Etude House Etti HeadbandAs silly as it may sound, this headband has become a staple for my morning and evening routine - keeping my hair out of my face while cleansing and applying product (including makeup). It's cute and does it's job, you can't really ask for more! 10. Mizon Snail Repairing Foam CleanserBefore you say anything about including a high pH cleanser here, just hear me out. While I do believe low pH cleansers are best for my skin, there are people who don't care what the pH of their cleanser is, and [high or low] doesn't make a difference. If I follow with a low pH toner, I can often get away with a higher pH cleanser without repercussions. For a foaming cleanser that doesn't make my face dry out, this one is worth dropping a few bucks on. (BONUS) 11. Elizavecca Carbonated Bubble Clay MaskThe gateway into skincaretainment, this bubbling clay mask foams up on your skin making you look like a cloud person, and leaves you with clear soft skin. Disclaimer: No monetary compensation was received for this post. The Glitter Chic blog will always provide honest opinions, beliefs or experiences on products reviewed. If you have any questions, please contact me at gothickornchic at gmail dot com. This post may contain affiliate links, and I may receive a small commission if you make a purchase using one of those links - which costs nothing to the consumer but does help this site. The disclosure is done in accordance with the Federal Trade Commission 10 CFR, Part 255 Guides Concerning the use of Endorsements and Testimonials in Advertising. So many of these were my gateway drugs into kbeauty! 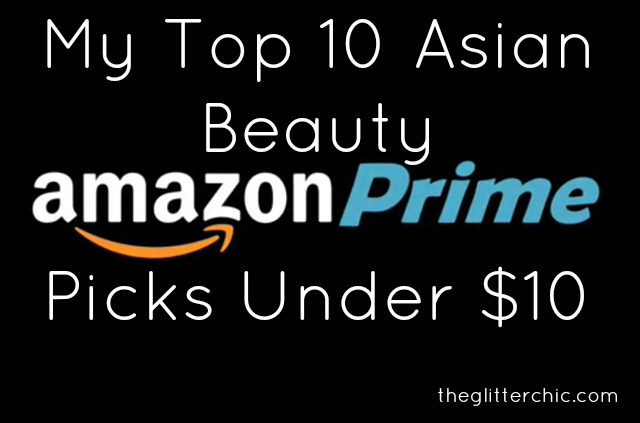 I still adore many of them, thanks for the post, hopefully it helps newbies or people on a tighter budget jump in to the amazing world and obsession of Korean beauty! You know I never did try the Nexcare ones! I heard they were good but always had such good luck with the Cosrx ones I didn't try more. I'll have to buy some just to compare, thanks for mentioning them!